GİRİŞ ve AMAÇ: Çalışma, yoğun bakım ünitelerinde çalışan hhemşirelerin güçlendirilmelerine ilişkin görüşlerinin değerlendirilmesi ve güçlendirilme algı düzeylerininin ve algı düzeylerini etkileyen faktörlerin belirlenmesi belirlemesi amacı ile yürütülmüştür. YÖNTEM ve GEREÇLER: Araştırma Rize İli Kamu Hastaneler Birliği Genel Sekreterliği’nden izin alındıktan sonra bir devlet hastanesi, bir eğitim ve araştırma hastanesinin yoğun bakım ünitelerinde çalışan 109 hemşire ile gerçekleştirilmiştir. Veriler; bilgi formu, personel güçlendirme anketi ve Güçlendirme Algısı Ölçeği ile toplanmış, sayı, yüzde, ortalama, standart sapma, t-testi, Mann-Withney U testi, ANOVA ve Kruskall Wallis testleri ile değerlendirilmiştir. BULGULAR: Yoğun bakım hemşirelerinin Güçlendirme Algı Ölçeği genel toplam puanı 3,11±0,64 dür. Alt boyutlarda ise katılım boyutu ortalama puanı 2,68±0,77, sorumluluk boyutu puanı 4,15±0,94 ve otonomi boyutu puanı 3,06±0,88 dir. Hemşirelerin %65,1’i hastane yönetimi tarafından güçlenmelerinin engellendiğini, %45,9’u kendi kendilerini güçlendirdiklerini belirtmişlerdir. Ayrıca, hemşirelerin mesleki deneyimi ile sorumluluk alt boyutu, kongre vb. toplantılara katılım durumu ile katılım alt boyut puanını arasında istatistiksel olarak anlamlı fark bulunmuştur (p< 0,05). TARTIŞMA ve SONUÇ: Sonuç olarak yoğun bakım gibi önemli bir ünitede çalışan hemşirelerin güçlendirme algı düzeyleri orta seviyede olup, yeterince güçlendirilmedikleri düşüncesine sahiptirler. 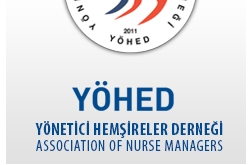 INTRODUCTION: The study was conducted to determine the concept of the personnel empowerment, which is one of the trending concepts of modern management, to evaluate intensive care nurses’ opinions on the personnel empowerment and to determine level ofthe perceptions of strengthening and factors affecting their perception levelsof strengthening. METHODS: It was carried out 109 intensive care nurses who work at the intensive care units of a training and research hospital and a public hospital after obtaining permission from the Rize Provincial Public Hospitals Union, Office of the Secretary General. Data was collected with the information form, personnel empowerment questionnaire, and the Perception of Empowerment Scale, and was evaluated with frequencies, percentages, means, standard deviations, t-test, Mann Whitney U test, ANOVA, and Kruskall Wallis test. RESULTS: The mean score for total Perception of Empowerment Scale was 3,11±0,64. In the subscales, mean score for participation was 2,68±0,77, mean score for responsibility was 4,15±0,94, and mean score for autonomy was 3,06±0,88. Of the nurses, 65,1% reported that the hospital management prevented them from strengthening, while 45,9% reported that they strengthened themselves. In addition, there were significant differences as statisticallyin the responsibility subscales compared to occupational experience and in the participation subscales compared to the status of participating in meetings (p< 0,05). DISCUSSION AND CONCLUSION: In conclusion, perception levels of empowerment of nurses who worked at the intensive care being an important unit, were a medium level, and nurses thought that they were not strengthened at a sufficient level.